‘Sacred Games’ Season 2 Air Date, Spoilers: When Will the Series Return? Who Is Khanna Guru Ji? Melania Trump 2018: Will FLOTUS Spend Christmas Alone Amid Donald Trump’s Alleged Health Issues? Melania Trump and President Donald Trump were previously reported to be planning to celebrate Christmas with their whole family at Mar-a-Lago in Florida. However, it seems that the FLOTUS will have to celebrate the holiday festivities alone as the President has delayed his trip due to the partial government shutdown that started on Friday. Donald Trump remained in the White House while some of his family members are already in the said resort. In particular, his son Eric Trump and his family were already spotted in Mar-a-Lago. Melania Trump is also on her way to Mar-a-Lago. The event has been planned ahead so the FLOTUS will still go despite the current situation in the White House. An official revealed that Donald Trump may still make the trip to be with his family. "It has long been the family's tradition to spend their Christmas holiday at Mar-a-Lago,” Stephanie Grisham, Melania Trump’s spokeswoman, told CNN. “Her plans to travel with her son to their Florida home for his winter break have not changed this year." Now, it has been reported that Melania Trump is really concerned about her husband’s health. Donald Trump is said to be in bad shape right now and the FLOTUS is worried that his condition may worsen due to the stress brought about by the ongoing Mueller investigation. The First Lady is not really bothered about the investigations and what its outcome would be because she trusts her husband and believes that he is not guilty of the allegations hurled against him regarding the Mexico-U.S. wall border issue. Donald Trump is said to be under immense stress as his foes continue to attack him from all sides. His wife knows that stress has ill effects on the body so she is doing what she can to help and comfort him. 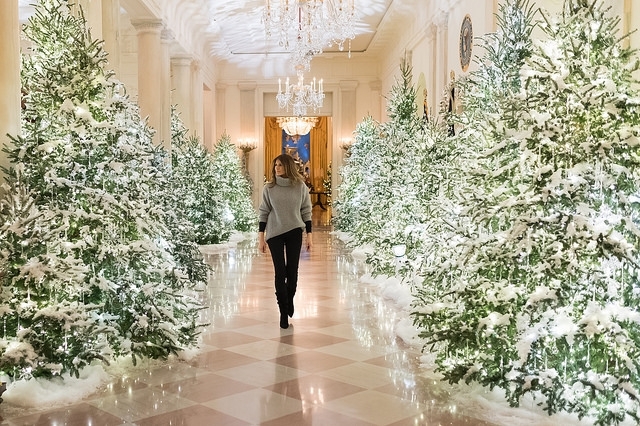 For this holidays, while the president of the United States has to deal with one of the major issues at the White House, there is still a chance that Melania Trump will not be spending Christmas alone as he will surely spend a bit of time to be with his family in this most festive time of the year.